DART is a doctoral program in Accounting, Reporting, and taxation with a comprehensive view of economics-based research and a strict focus on quantitative methods and modeling. 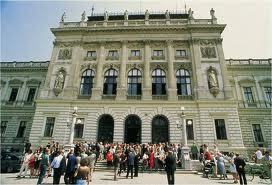 It is located in Graz and Vienna, Austria, and is a joint initiative of the University of Graz, the University of Vienna, and the WU Vienna University of Economics and Business. The program is in English and covers all major fields of accounting: financial accounting, management accounting, auditing, taxation, and corporate governance. DART offers a stimulating learning and research environment plus financial support to outstanding students from around the world. Students admitted to DART are required to enroll with the appropriate formal doctoral program at one of the three participating universities. At the beginning of each program, students attend an intensive set of core courses, such as analytical and empirical methods, applied to accounting, finance, and economics. It also includes courses in mathematics and statistics, and economic modeling. Advanced courses are electives that students select depending on their specialization. These courses provide them with the necessary knowledge to engage in their own research. After the course phase, the students enter their thesis-writing phase. Admitted students are offered full funding unless financed by other sources. DART scholarship holders are paid a salary (after taxes and social security payments) of approximately 18.000 Euros per year. Students are strongly encouraged to take the opportunity to go abroad for a semester, preferably to the home institution of the external member of their supervisory committee to share their work with other researchers in the field. Opportunities for such mobility are manifold because of the faculty’s large network of connections to researchers and universities around the world. Demikianlah informasi tentang DART-Doctoral Program in Accounting, Reporting and Taxation, semoga bermanfaat.